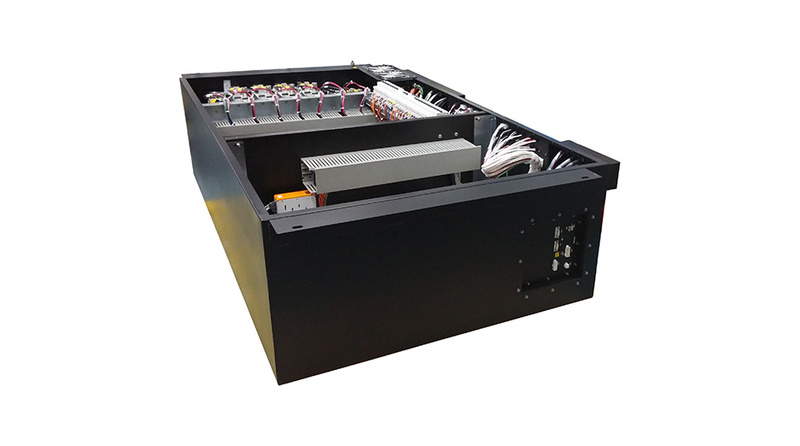 This global leader of high end printers selected Alexander Schneider to design and manufacture an electrical cabinet that included a fair amount of motion controllers. The cabinet required the integration of AC and DC systems. The size of the customer’s machine allowed a rather small cavity for the electrical and control cabinet. Very dense components created a challenge in terms of electromagnetic interference, manufacturability and serviceability. The solution provided by our team included a creative selection of components, including Panduit’s DIN rail ducts and innovative industrial automation products such as the PowerMax shielded duct. The advanced solution Alexanders Schneider delivered provided noise mitigation that enabled a reduction in the size of the enclosure, and allowed us to manage high density cabling while improving quality, manufacturability and service access.